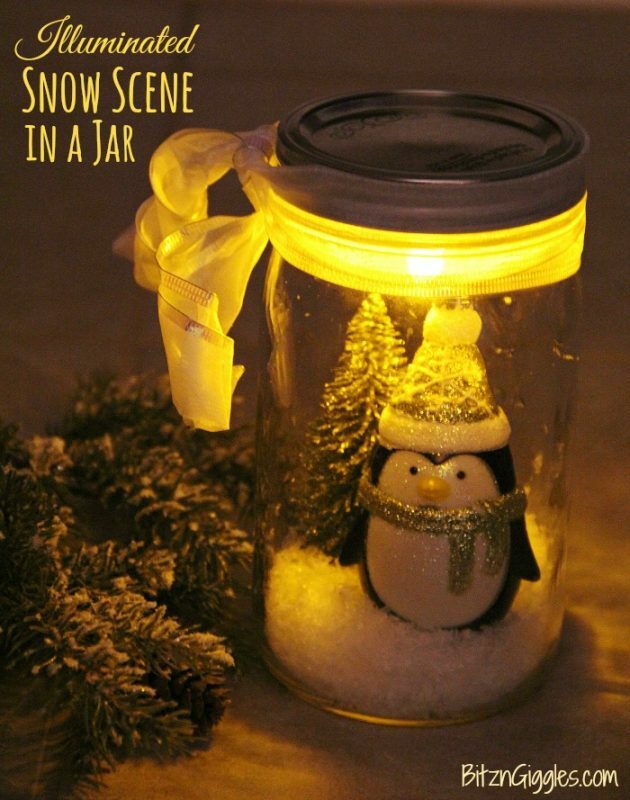 So many WONDERFUL Christmas Mason Jar Crafts – from luminaries to snow globes. Get your craft on and decorate your home for the Holidays! 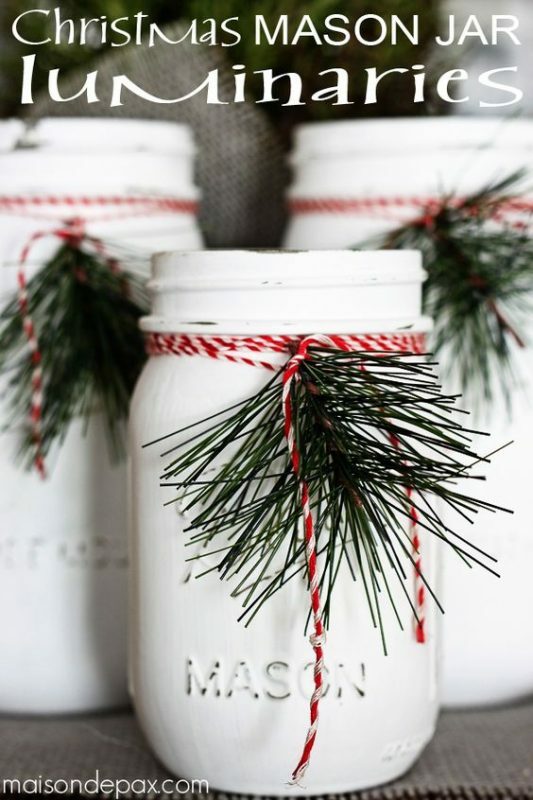 I LOVE Mason Jars and I’m always on the lookout for crafty ways to use them. 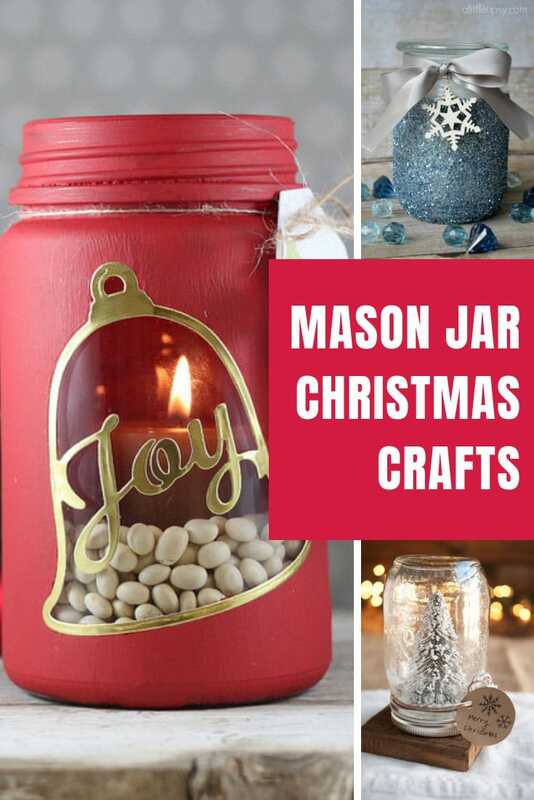 With the Holiday season fast approaching I couldn’t resist pulling together a list of the most FABULOUS Christmas Mason Jar crafts to inspire both of us! 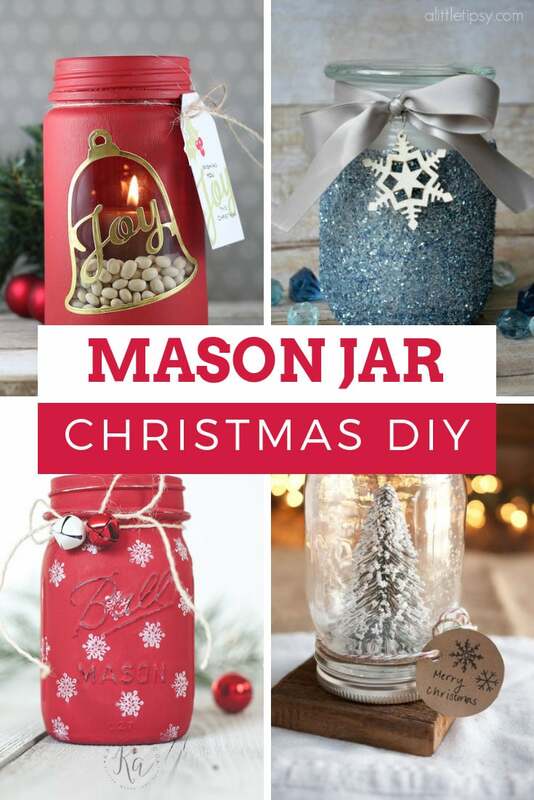 I found so many ideas for decorating at home as well as ways you can use those Mason Jars for unique gifts for family and friends! Oh and just in case you run out of jars during your crafting spree you can get some super quick thanks to Amazon Prime! 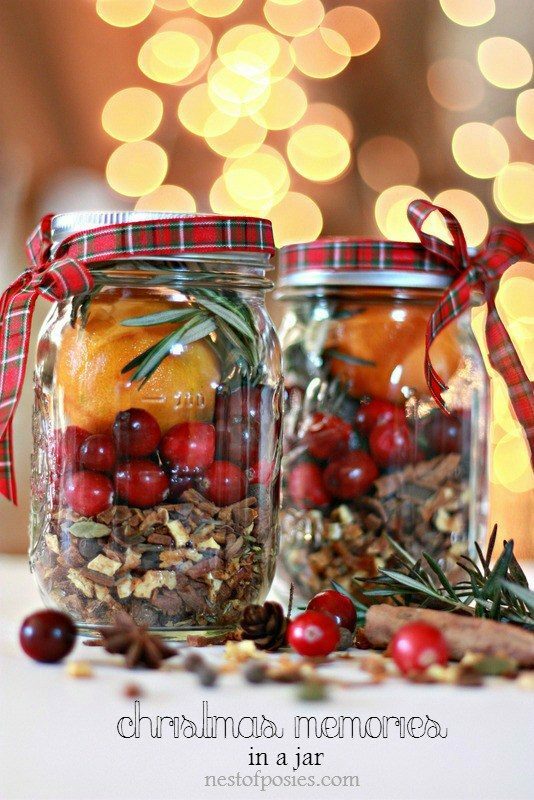 Christmas in a Jar – What a wonderful gift idea – Christmas memories in a mason jar! 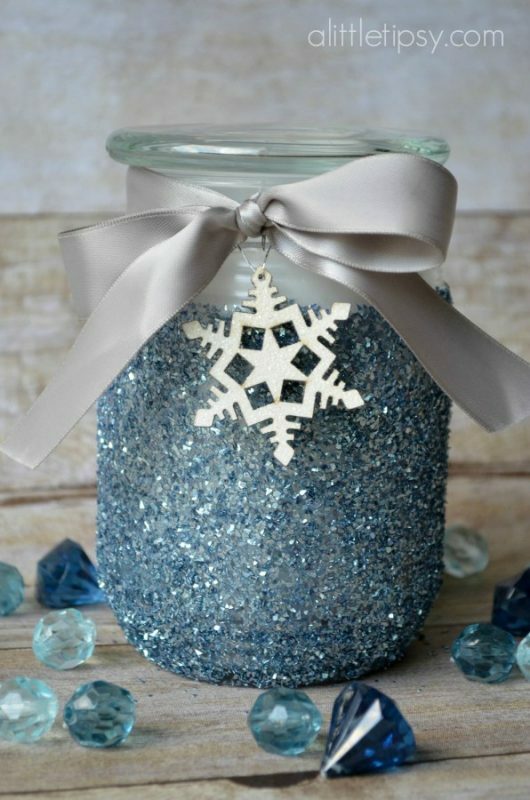 Snowflake Mason Jar Luminary – Oh my goodness this Christmas mason jar luminary is GORGEOUS! 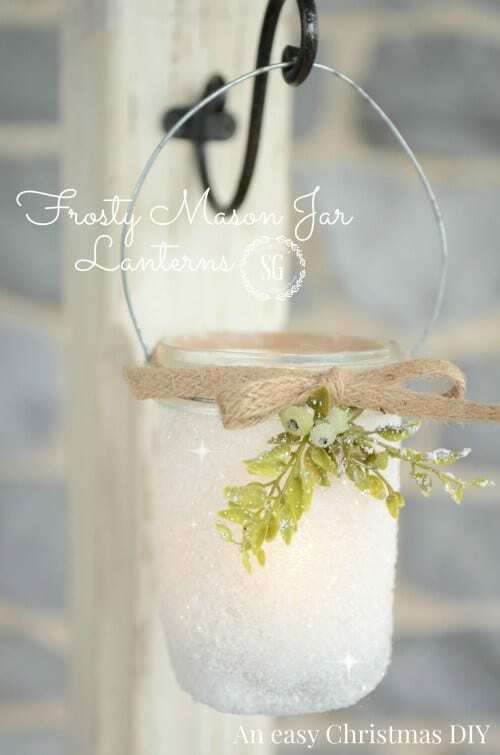 Frosty Mason Jar Lanterns – These Frosty Mason Jar Lanterns might just be the PRETTIEST thing I have seen all Christmas! 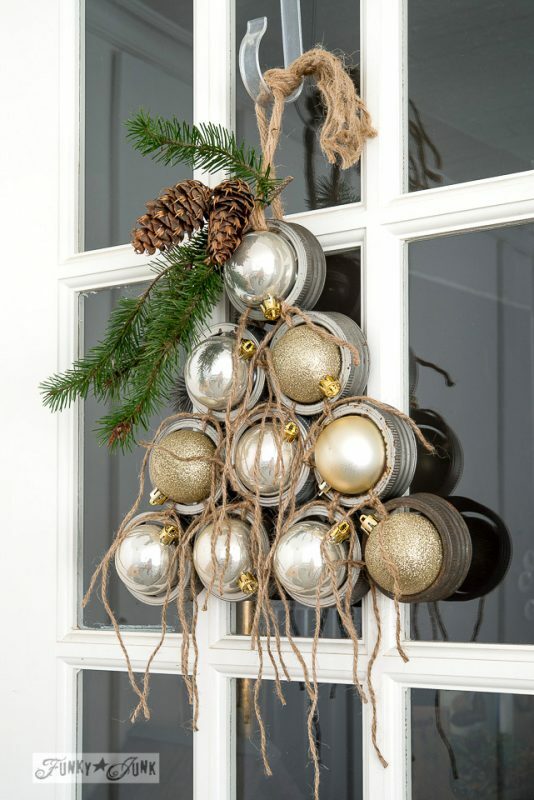 Mason Jar Ornament Christmas Tree Wreath – What a FABULOUS way to decorate your front door this Christmas. No one else will have a wreath made out of mason jar lids I bet! Mason Jar Soap Dispenser – When is a mason jar not a mason jar? When it’s a soap dispenser! FABULOUS idea for a unique Christmas gift! Chalky Painted Mason Jars – Christmas Centerpiece – I LOVE this idea for using painted mason jars as a Christmas table centrepiece! 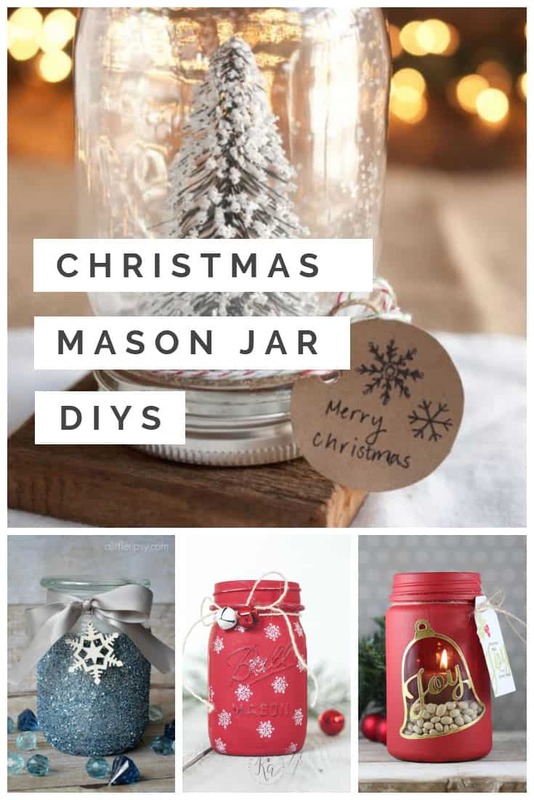 Christmas Mason Jar Luminaries – These Christmas Mason Jar Luminaries are SUPER STYLISH! 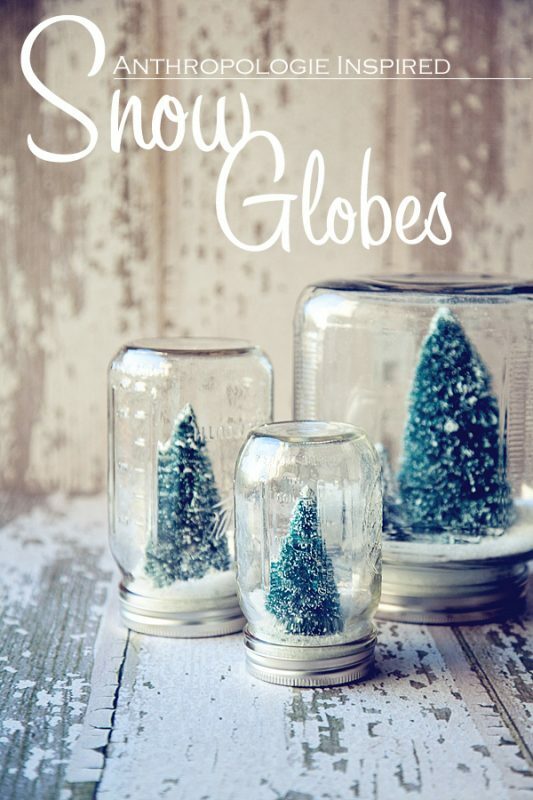 Copycat Anthropologie Snow Globe – INSPIRED! 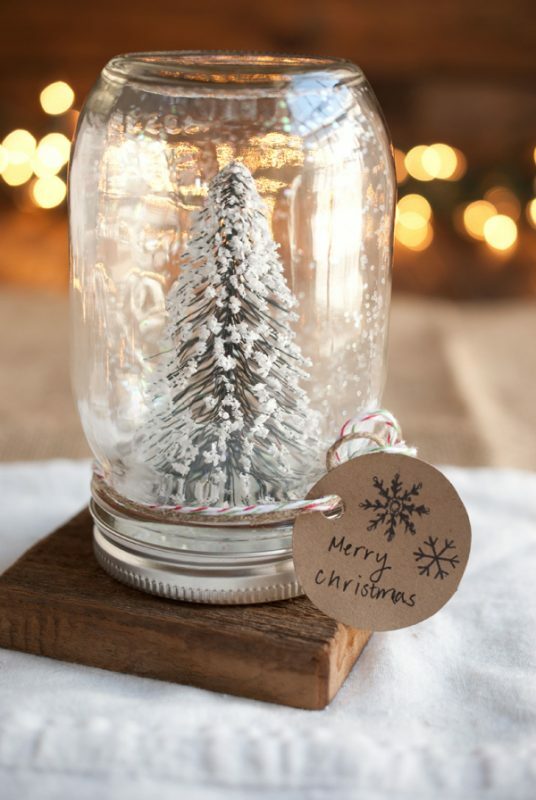 Make your own Anthropologie snow globe for a fraction of the price! 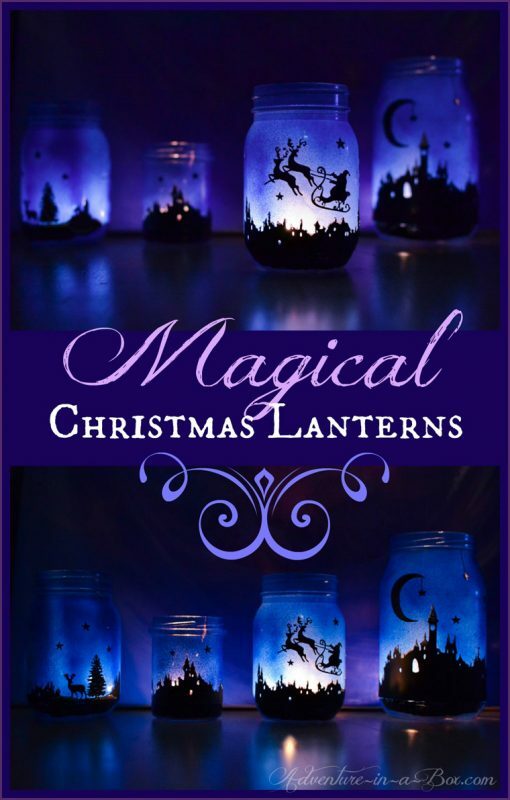 Magical Christmas Mason Jar Lanterns – My kiddos are going to LOVE these magical Christmas lanterns! 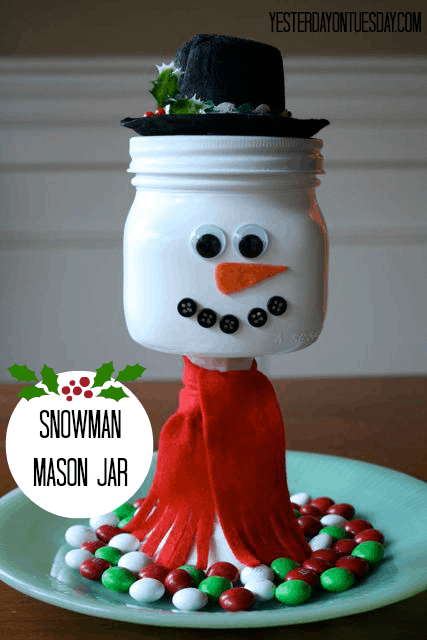 Snowman Mason Jar – How CUTE is this Snowman made from a mason jar? LOVE how he’s looking after the Christmas candy! 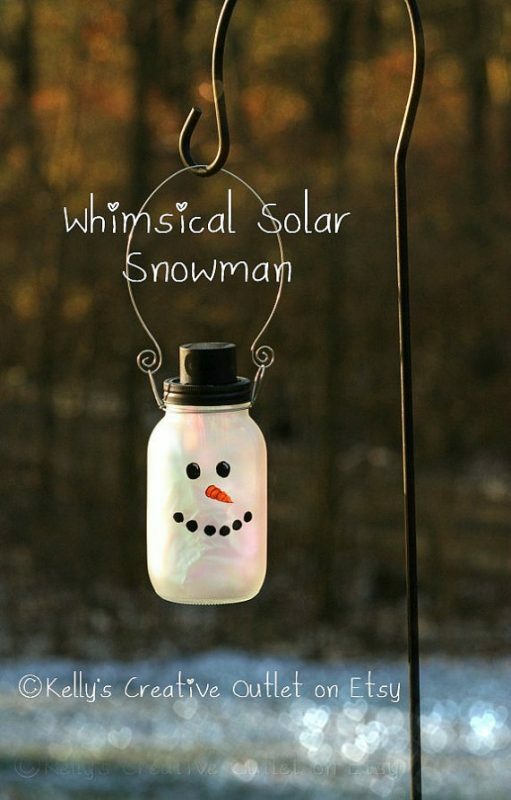 Whimsical Solar Snowman – Ooh he’s so PRETTY! I love that he glows in the sunshine as well as at night! Glitter Candle Gift Idea – I LOVE crafts that are SUPER SIMPLE but look like you bought them from the store! 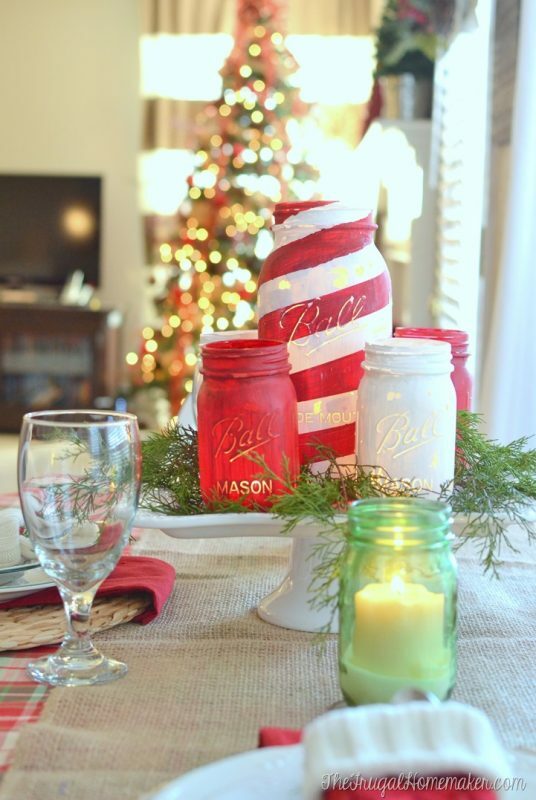 Santa Claus Painted Mason Jar – Ho Ho Ho! 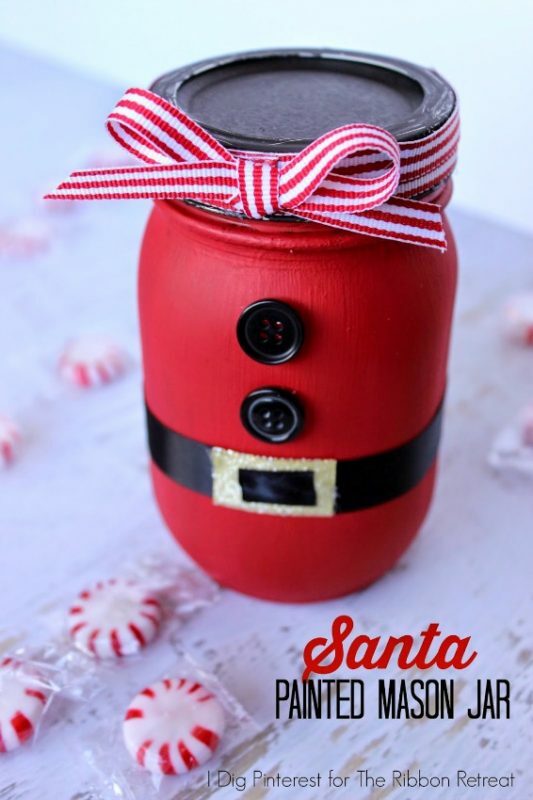 Can’t wait to make these SUPER CUTE Santa jars and fill them with treats as edible gifts this year! 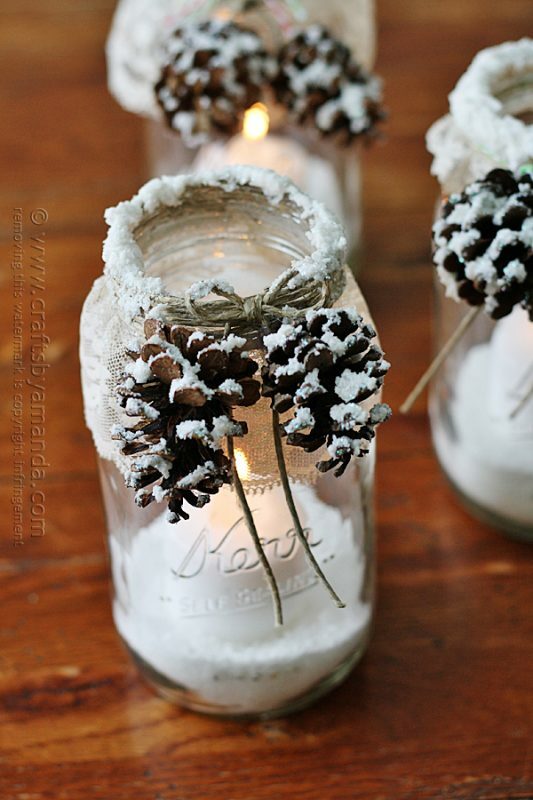 Snowy Pinecone Candle Jars – Even if there’s no snow on the ground we can still have a White Christmas thanks to these GORGEOUS snowy pinecone jars! 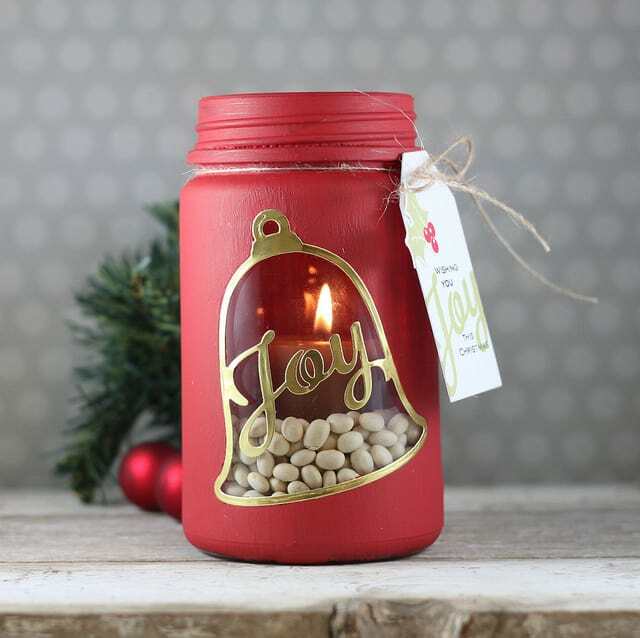 Joy Mason Jar Candle Holder – Nothing says FESTIVE like red and gold, and this BEAUTIFUL candle holder turns a mason jar into a gift! 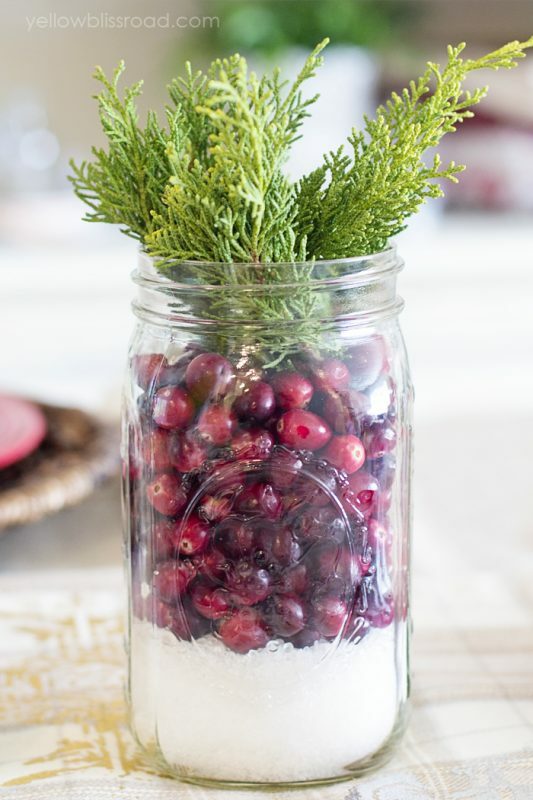 Cranberry Mason Jar Christmas Centerpiece – Oh my – these Cranberry Mason Jar centrepieces are BEAUTIFUL and so EASY to make! Anthropologie Inspired Snow Globes – Just because we love them so much here’s another take on the Anthropologie Snow Globes! 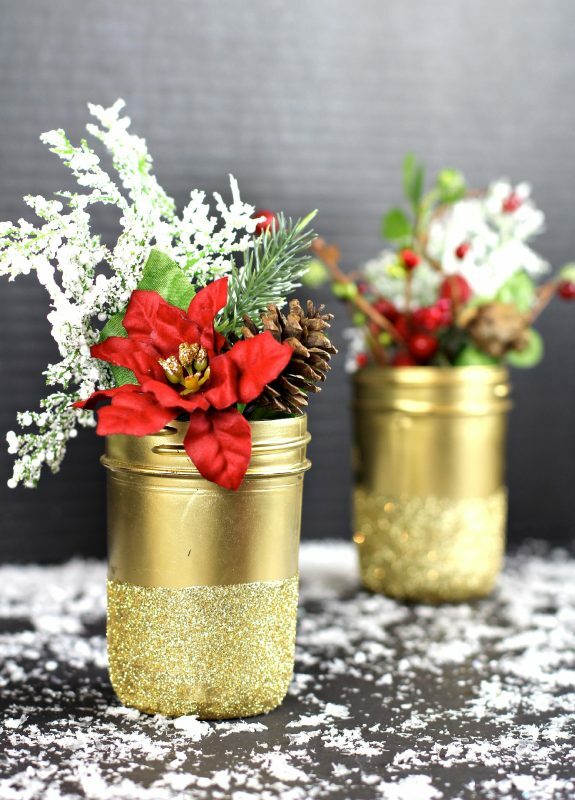 Gold Glittered Mason Jar Flower Holders – All that glitters is gold this Christmas with these FABULOUS Mason Jar vases! 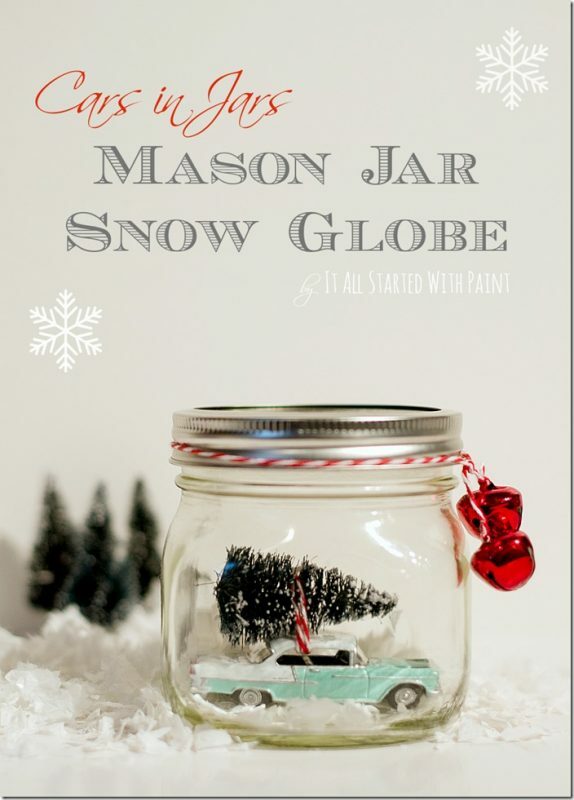 Fifties Inspired Snow Globe – This is the PERFECT Christmas gift for fans of vintage cars (like my brother) – cannot wait to make one of these! 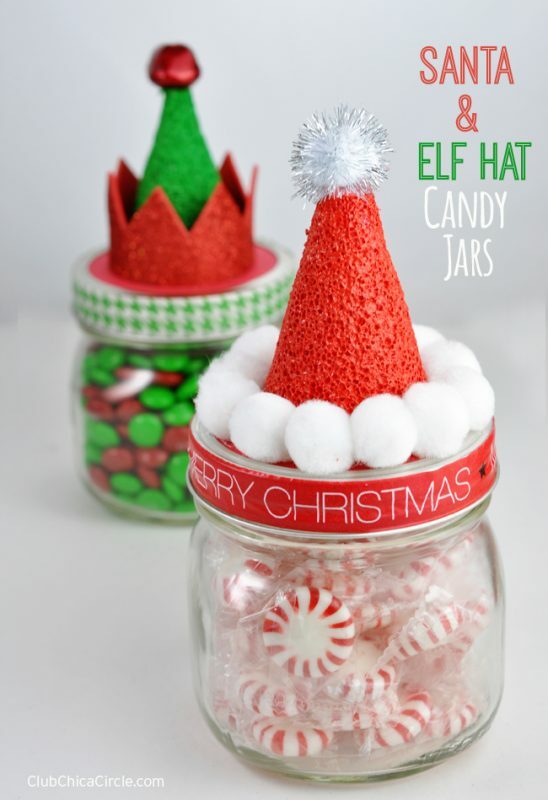 Santa Hat Candy Jars – These Santa Hat jars are ADORABLE and a great way to gift Holiday fudge or candy!